Polar Express is one of my favorite units and I hope you love it as much as I do! 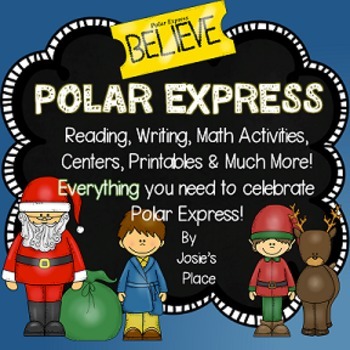 Polar Express Day and December Fun has all that you need to celebrate Polar Express Day with writing and language arts activities for all of December. BONUS: You'll also receive my Pattern Train and Vehicle Center for FREE! More printables will be added shortly. Check back for updates! POLAR EXPRESS AND DECEMBER FUN FOR GRADES 2 & 3. Grab this version if you teach older kids! Your Polar Express Unit will be complete with everything you need to celebrate Polar Express Day with themed holiday reading, writing, math activities, and centers (for winter) for the days and weeks that follow! Please enjoy an Elf Color by Number and a Gingerbread Men Color by Number FREEBIE! Want a fun craft for the holidays? Grab my Five Snowmen Ornament idea and Poem Freebie here!! JUST UPDATED AGAIN! 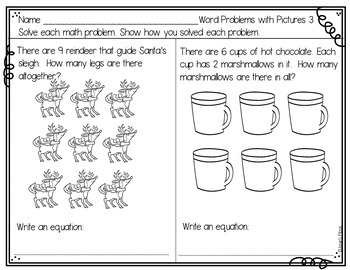 30 additional printables for word problems, coin recognition, addition/subtraction practice, and time! 1 Letter from me explaining how I celebrate the day. 2 Polar Express Admit One Tickets- 2 different backgrounds to choose from. Snowman Soup Poem- If you’d like to send home an end of unit treat. Poem explains items that go in a bag which is attached to poem. 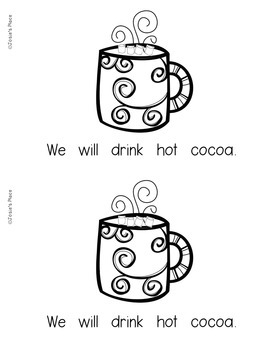 Polar Express Booklet- 16 pages to practice sight words and reading fluency. 4 new Label It! Activities from my best seller,Label It! 1 Picture Sequence Activity- Put the story in order using pictures. 1 Sequence Events in Story Worksheet- Printables with spots to write or draw pictures for the beginning middle and end. 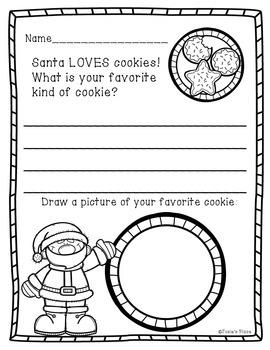 1 Character, Setting Events Worksheet-printable with spots to write or draw pictures to show the characters, setting and events. 2 Number Recognition Train Worksheets – Cut and glue numbers in order from 1-10 and 11-20. Greater Than/ Less Than - Math greater than and less than sorting center with center sign.4 Posters to illustrate greater than, less than and equal to. One is illustrated for holiday time. 3 Greater Than/ Less Than/Equal to Printables differentiated for all levels of learners. Addition and Subtraction Center- Children can choose from 16 Subtraction and Addition Task Cards using either a colored or black and white reproducible Work Mat, and “marshmallow” manipulatives to solve word problems. There are 16 task cards in all (8 addition and 8 subtraction) with sums up to 20. There are also 8 blank cards (4 addition & 4 subtraction) for you to use to fill in the blank number to create your own. You can use these in a center or on an individual basis. Colored Number Mats with numbers 1-20 for children to work on one to one correspondence and number recognition. You would also use the marshmallow manipulatives here as well. Counting Center- 4 different tasks/choices to order number cards. Center Sign Included. Pattern Center- task cards include create a pattern for: AB, ABC, ABB, AABB, AAB, and ABCC. Center Sign Included. This is in 2 files due to format of the pages. There are 168 pages in all. This includes some helpful explanation pages to keep the file organized for you. Answer keys for a few items. Here are just a few of the common core standards that are met through this packet.